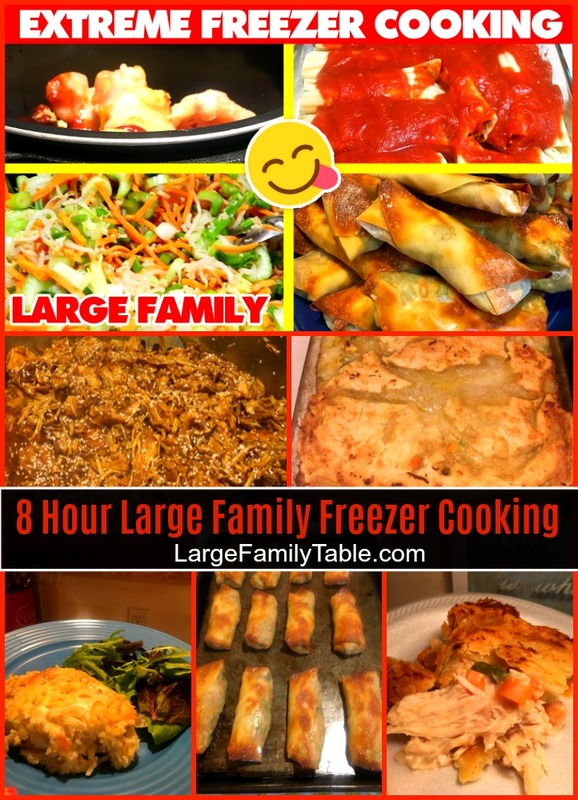 My day one large family freezer meals prep day seemed very sensible with freezer cooking from about 1:30 pm to 9:30 pm. That time included my nursing baby breaks, clean up and chat time. If you missed it, you could read all that was accomplished here in my freezer cooking prep day. Day two of my June large family freezer cooking day could be called extreme. That’s why I went ahead and have called day two my EXTREME FREEZER COOKING DAY. You can see in the vlog I didn’t get started until the late evening, around 7 pm. I joke in the video I spent Saturday “doing what I want” which included doing some behind the scenes work on the YouTube channel and going on a late afternoon hike with the kids. Once I got in my freezer cooking groove, we were rolling well. I figured I would do a freezer cooking technique that I haven’t done in awhile. I’d cooked late into the night getting most of my freezer meals made while the little ones were asleep. The next morning was Saturday, and I knew I’d be able to sleep in a bit with my hubby’s help. Large Family Chicken Pot Pie Freezer Meal – I made 4 large 11×18 baking pans full! 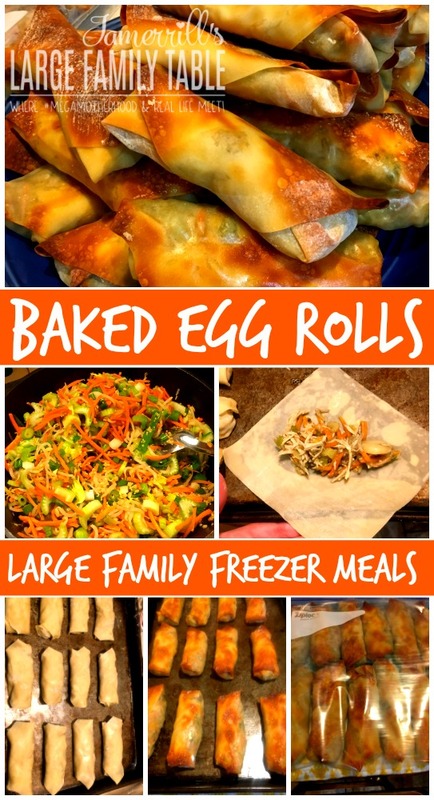 Baked Egg Rolls Freezer Meal (I made TWO kinds!) – oh so many egg rolls 🙂 Made over 120! Baked Creamy Chicken Spaghetti Freezer Meal Recipe – I made 4 11×18 pans of this yummy bake. Sesame Orange Chicken Instant Pot Recipe (made ahead for the freezer) – 10 lbs in the freezer. Manicotti Freezer Meal Recipe – 4 large 11×18 pans, too! I skipped making the Sausage & Rice bake in favor of making the 2nd type of egg roll. I completed the low carb Pizza Casserole, but don’t have that blog post ready yet. Look for that shortly. 🙂 – 4 pans completed! This comes out to be about 24 large family freezer meals that we’ll use as needed over the next 60 to 90 days. I love having meals ready to go in the freezer! 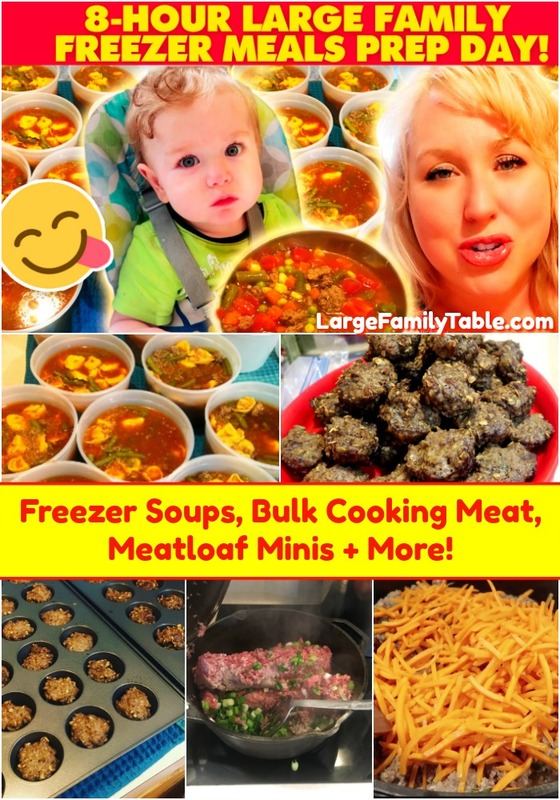 On my day one freezer cooking besides bulk cooking all the various meats and noodles for the day two meals listed above I also completed Large Family Mini Meatloaves Recipe, Quinoa Tortellini Sausage Soup, and Vegetable Beef Soup for the freezer! We’ll use the Mini Meatloaves mostly for some homeschool lunches and the soups are in hearty single serving containers. Something else extreme I did on this extreme freezer cooking day is I left all the dishes and overall mess that was stacked up by the end. I figured it could all wait and I could clean it up after some sleep. That’s not always how I do it, but sometimes it happens. ? (coming up this week I have a vlog where I share my freezer cooking cleaning disaster). As I shared on Instagram, around 3:21 a.m. I called it quits. Between getting settled and nursing the baby, I was finally in bed at about 4 a.m. Travis covered for me Saturday morning, and I was able to sleep in until about noon – yay! 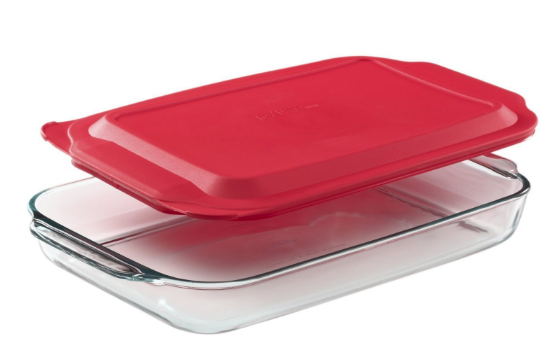 I’ve been slowly adding glass baking dishes to my freezer cooking supplies collection. Here’s my Amazon affiliate link for the 11×18 baking dishes I’ve collected. You can do freezer meals in glass dishes if you follow the manufacturers’ recommendations. Just make sure you defrost your meals appropriately before placing them in your oven. And as always, make the best with what you have to work with in your kitchen! Click here to watch the full EXTREME FREEZER COOKING vlog! 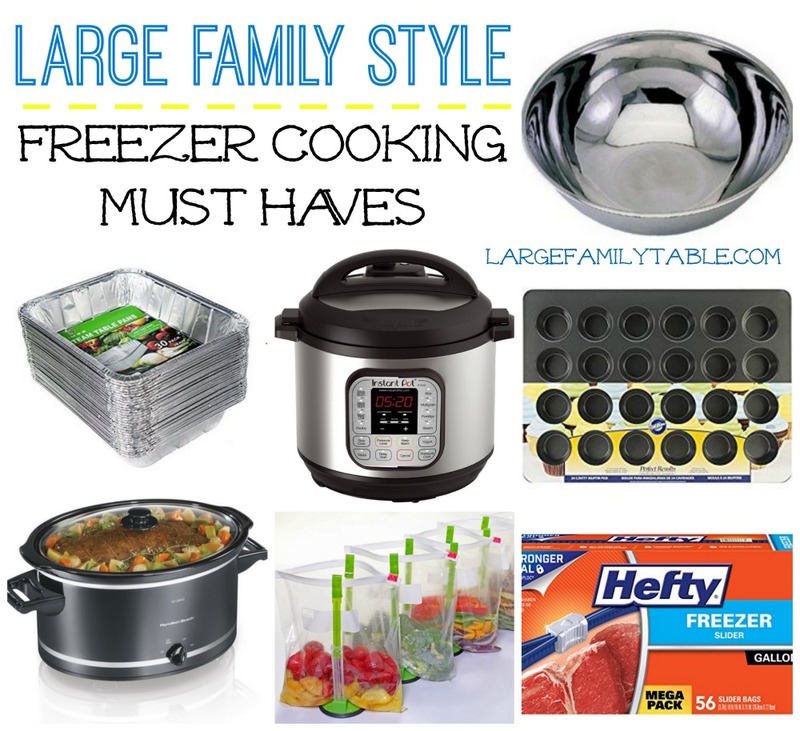 More Large Family Freezer Cooking Helps!